“Beauty and the Beast” is the fantastic journey of Belle, a bright, beautiful and independent young woman who is taken prisoner by a beast in his castle. Despite her fears, she befriends the castle’s enchanted staff and learns to look beyond the Beast’s hideous exterior and realize the kind heart and soul of the true Prince within. 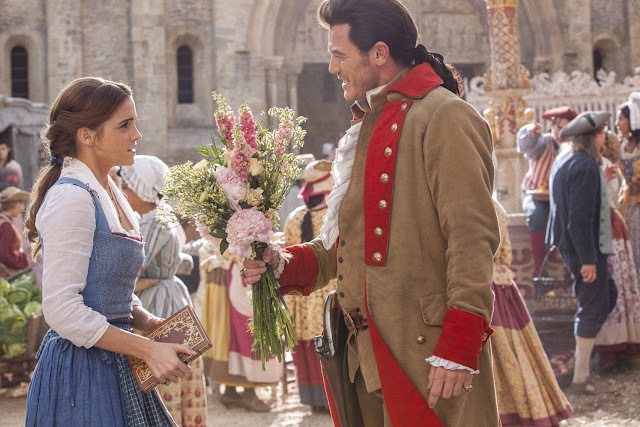 The film stars: Emma Watson as Belle; Dan Stevens as the Beast; Luke Evans as Gaston, the handsome, but shallow villager who woos Belle; Kevin Kline as Maurice, Belle’s eccentric, but lovable father; Josh Gad as Le Fou, Gaston’s long-suffering aide-de-camp; Ewan McGregor as Lumière, the candelabra; Stanley Tucci as Cadenza, the harpsichord; Gugu Mbatha-Raw as Plumette, the feather duster; Audra McDonald as Madame De Garderobe, the wardrobe; Hattie Morahan as Agathe, the enchantress; Nathan Mack as Chip, the teacup; Ian McKellen as Cogsworth, the mantel clock; and Emma Thompson as the teapot, Mrs. Potts. “Beauty and the Beast” will be distributed by Walt Disney Studios Motion Pictures International. You can use the hashtag #BeOurGuestPH.